I’ve always known that when we see issues that we’re passionate about first-hand, it makes us that much more motivated to take action and create positive change. Last week, I had the opportunity to do this. 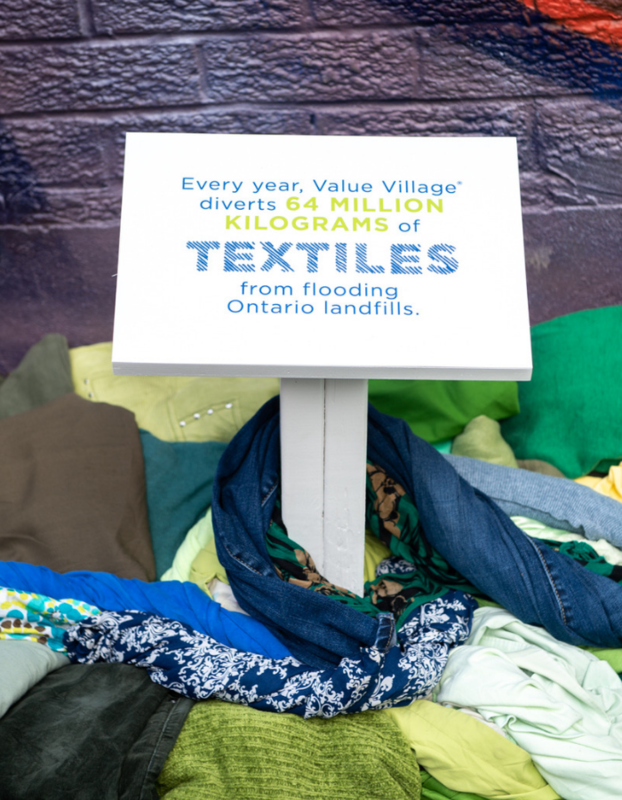 On October 16th, I participated in a Value Village activation to truly see the impact of being a daily consumer. We consume clothes and textiles everyday like it’s nothing. Going to the mall and stores, we think, “What’s another t-shirt? What’s another pair of jeans?” But it’s not nothing. There’s a price to it – and not just our wallets. It’s a reality check that we need. It takes 2650 Litres of water make ONE t-shirt. That’s the equivalent of 8 full bathtubs or 5000 bottles of water. It takes 6800 litres of water to make ONE pair of jeans. 10 pairs of jeans or almost 14 000 bottles of water to make 1 pair. It’s time for us to pay attention to what we consume and better our habits for a better world. 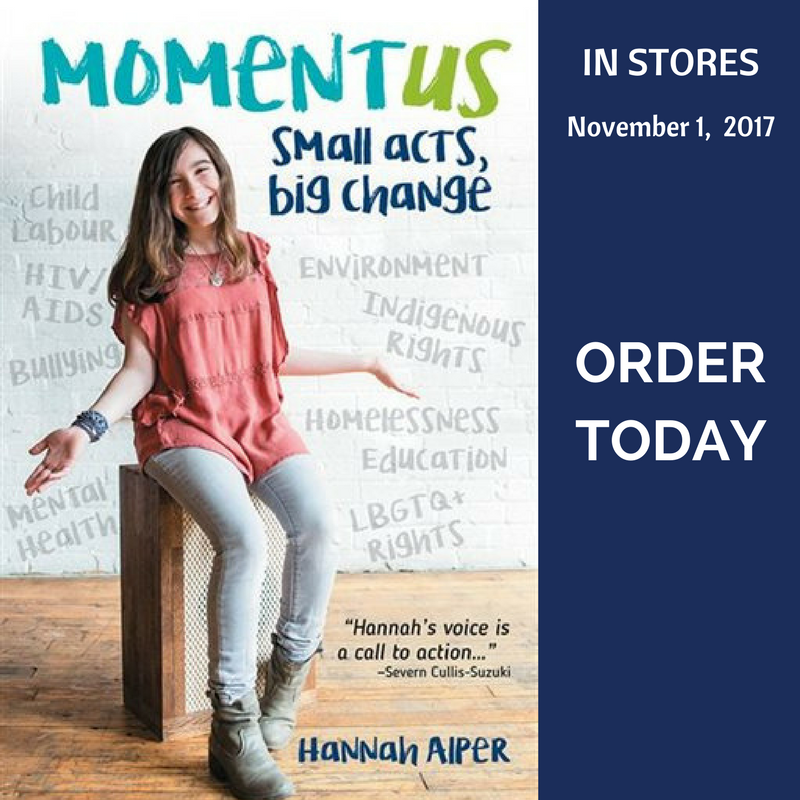 When I first kickstarted my activism at the age of 9, I was in my school’s eco club. And one of the most tangible things that we discussed (that I still go by) are the 3 R’s. I learned early on that of the three, Reduce and Reuse are the ones that make the greatest impact (because it takes a lot of energy to recycle things and less energy is also what we need). We need to rethink how we reuse. A great way to reduce our overall consumption, the amount that we send to the landfills, and our fashion footprint, is by thrift shopping. Not only are there unique and fashionable finds every time you go, but everything is a fraction of the price you would pay at standard retail. 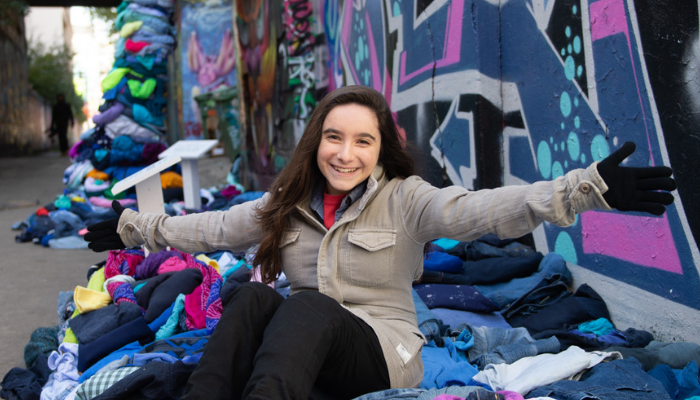 You’re also diverting clothes that might otherwise end up in landfills that are already overcapacity. So, it’s really a win-win-win situation for everyone. 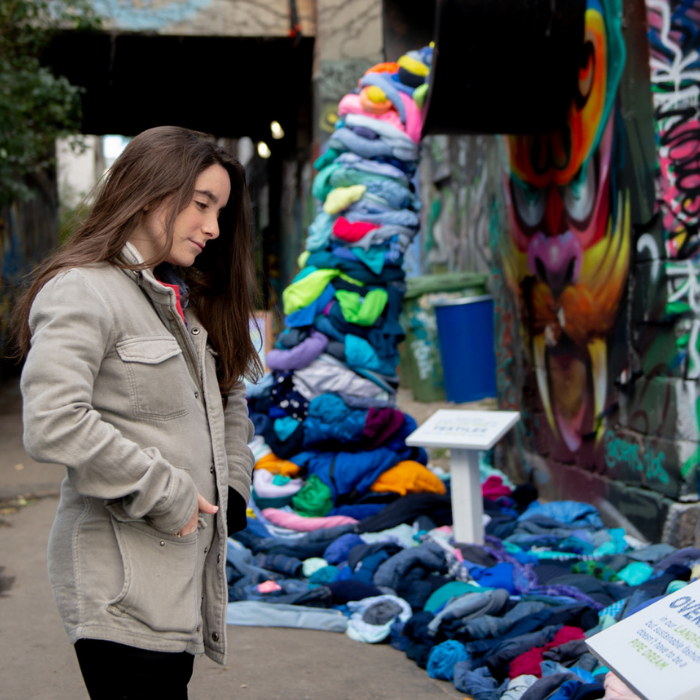 At the Value Village activation in Graffiti Alley in Toronto for Textile Tuesday, people had the opportunity to walk around and take in all the startling statistics and become motivated to change how they live for the better. One of the people I worked with during the campaign was Tony Shumpert. He has one of the coolest jobs in the world: Vice President of Recycling and Reuse. I definitely might steal his job one day. 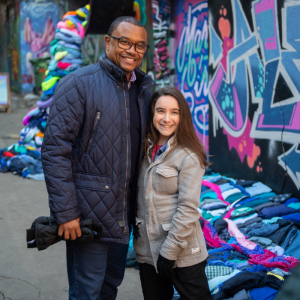 I hosted tours of the activation and so many people came up to me and said that when they learned the impact of their shopping habits and how easy it is to make a positive impact, they were going to thrift more often. I know I’m going to start thrifting more – and shouldn’t we all? A common myth that people have about making a difference is “I’m just one person. How can my actions actually create change?” It’s the little things that add up to make a big difference. And all the actions we take in our individual lives add up. It’s time to #RethinkReuse. Learn more about the campaign and the facts at rethinkreuse.com and find a Value Village near you.